Everyone needs that one bag that stands the test of time when it comes to wear and tear and a roomy interior that seems to fit all needs. 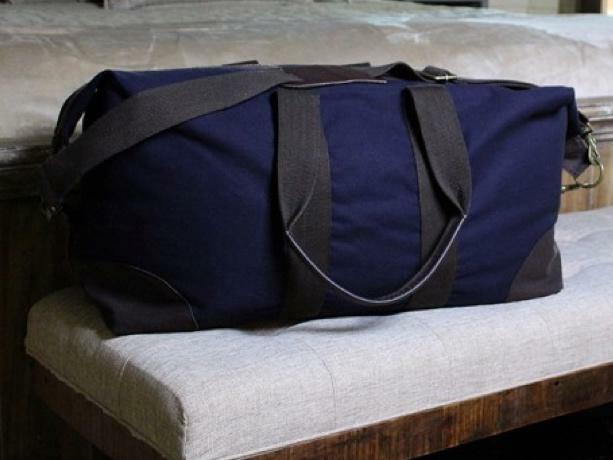 The Travel Weekender is that bag; it's our largest, most built to last weekender bag that can definitely be used for a trip longer than just a weekend. This bag was designed for repeated use with key details such as genuine leather detailed handles, an adjustable/detachable shoulder strap, reinforced bottom corners and antique brass bottom stud bag feet. 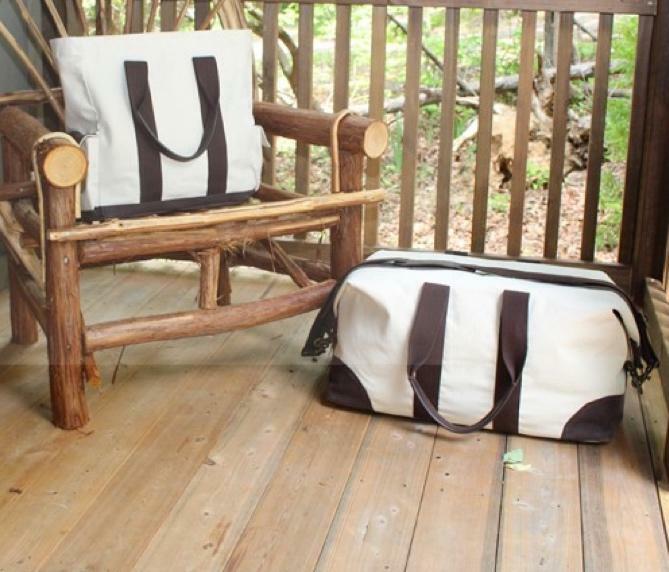 This Travel Weekender comes in natural heavyweight canvas paired with contrasting rich brown accents, and pairs well with the Travel Tote, Crossbody Satchel, and matching Zip Bags. Price: $137.00 In stock! - Browse this brand: The Pink MonogramOur products are custom made to your specifications. This product ships up to 2 weeks after your order is placed.